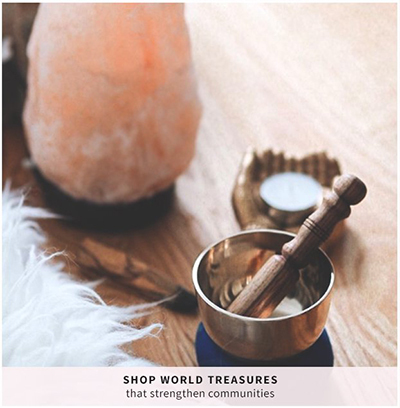 Ten Thousand Villages in Albany, NY, is a fair trade retailer of artisan-crafted home decor, personal accessories and gift items from across the globe. Featuring products from more than 130 artisan groups in some 38 countries, we are part of a network of over 390 retail outlets throughout the United States. As one of the world’s oldest and largest fair trade organizations, Ten Thousand Villages has spent more than 60 years cultivating trading relationships in which artisans receive a fair price for their work and consumers have access to distinctive handcrafted items. We seek to establish long-term buying relationships in places where skilled artisans are under-paid or unemployed, and in which they lack other opportunities for income. A founding member of the World Fair Trade Organization (WFTO), Ten Thousand Villages sees fair trade as an alternative approach to conventional international trade.